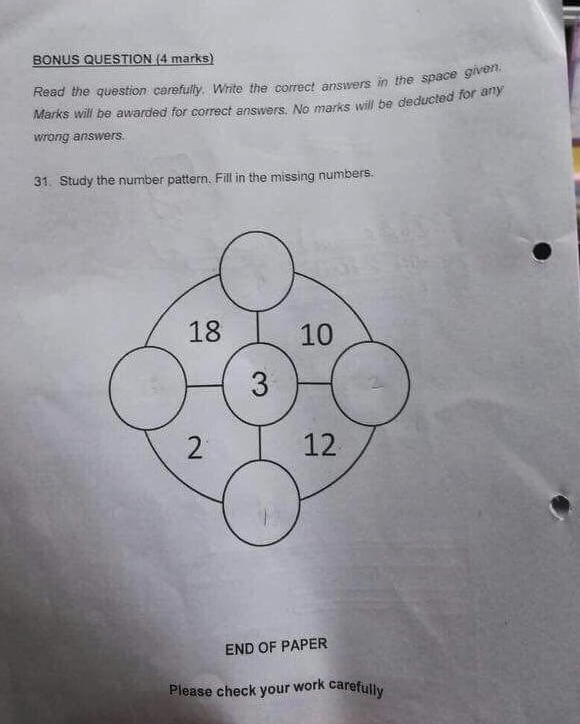 It’s a known fact that the Singapore schooling system is harder than many western curriculum but this maths puzzle — a bonus question in a year 1 exam — has stumped parents and kids alike. 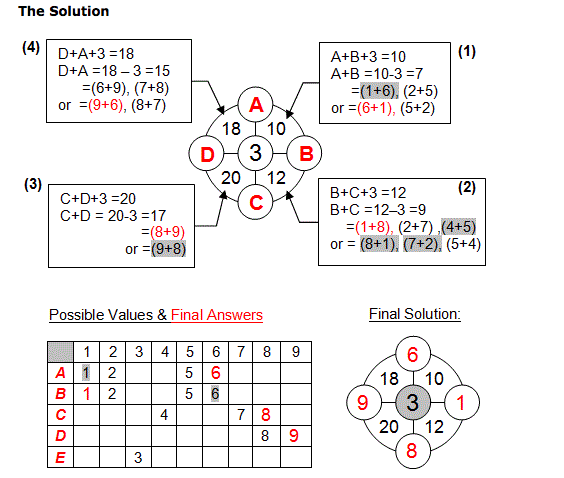 The question shows a circular puzzle with five numbers in it. There are four corresponding blanks that are meant to be filled in, but no further information is given on how to solve it. Can you work out the right answer? Solution is at the bottom of this article. 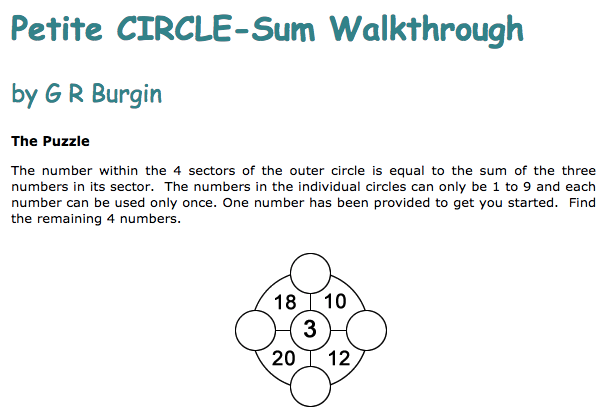 Mathematician G R Burgin, who is slightly more qualified than a 7 year old, managed to crunch the numbers and come up with an answer. I think teachers and parents all agree that year 1’s should focus on nailing those times tables rather than attempting to solve this brain melting puzzle. Entire class of 6 year olds did this for their classmate.